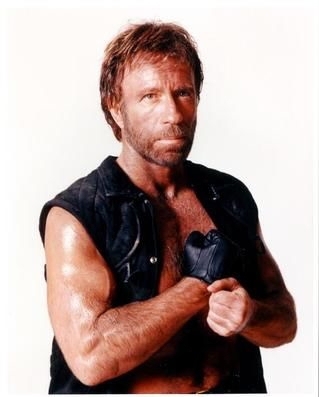 American actor and martial artist Carlos Ray (Chuck) Norris continues to be impossibly fit and unbeatably stronger than ever, all at the age of 72. His steely determination to stay strong and tough guy look inspires millions of his fans across the world. He is a living example of how to live a healthy and inspired life, regardless of what age you are or the stage of life you are going through. Norris was born in Ryan, Oklahoma on March 10, 1940 to Wilma and a mechanic and truck driver Ray Norris. He spent his childhood in Torrance, California where he moved with his family at the age of 12. On completion of his graduation, he joined the United States Air Force in 1958 as an Air Policeman during which he spent a period in South Korea where he came to know about the Asian martial art of Tang Soo Do. After returning from Air Force he started working as a full-time karate instructor and gradually he established a chain of martial-arts schools. In 1969, he received the Triple Crown for winning the highest number of tournaments, and was honored as the Fighter of the Year by “Black Belt” magazine. He created the history by becoming the first Westerner to be awarded an eighth-degree black belt in Tae Kwan Do. Norris was literary dragged into acting by his friend Steve McQueen and ever since he has acted in several action films where he showed his knowledge of martial-arts and techniques to win over the stressing action and violence. Besides, he has authored the books “The Secret Power Within – Zen Solutions to Real Problems” and “The Secret of Inner Strength”. He is also a philanthropist; his charities include Veterans Administration National Salute to Hospitalized Veterans, the Funds for Kids, the United Way, the nonprofit organization Make-a-Wish Foundation and KickStart in 1990 to raise fund to assist at-risk children, and battle against drugs and violence in schools. In 2005, he established the World Combat League that organizes team-based martial arts competition. He also helps the Vijay Amritraj Foundation that brings hope, and heals the innocent sufferers of natural disasters, disease, and tragedy in India.